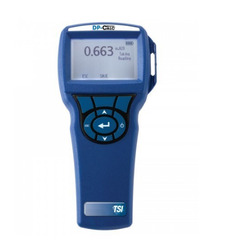 Offering you a complete choice of products which include micro manometer, duct leakage tester and hydronic manometers. We are offering Micro Manometer to our clients.These robust instruments can be used with pitot probes to measure duct velocity. The Positive and Negative Duct Accreditation (PANDA) system provides contractors, commissioning engineers, and research and development technicians. Model PAN341 comes with standard Airflow TA465-P Multi-Function Instrument and PVM610 Micromanometer. HM675 kit includes hard carrying case, (2) 6.7 ft x ¼-in. P/T gauge adapter probes, and power cord. CompuDat USB downloading software, and USB interface cable. HM675 kit includes hard carrying case, (2) 6.7 ft x ¼-in. (2 m x 6 mm) hoses with shut-off valves, (2) B&G readout probes, (2)P/T gauge adapter probes, and power cord. HM685 kit includes all items in HM675 kit, plus a temperature probe,CompuDat USB downloading software, and USBinterface cable. 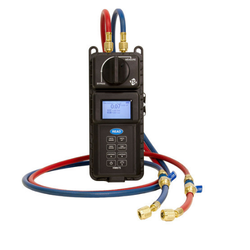 Looking for HVAC Test Equipments ?